Claim 20% Cashback when you buy 4 or more promotional products within the 4 Fellowes Erognomic Zones until the 30th September 2019. 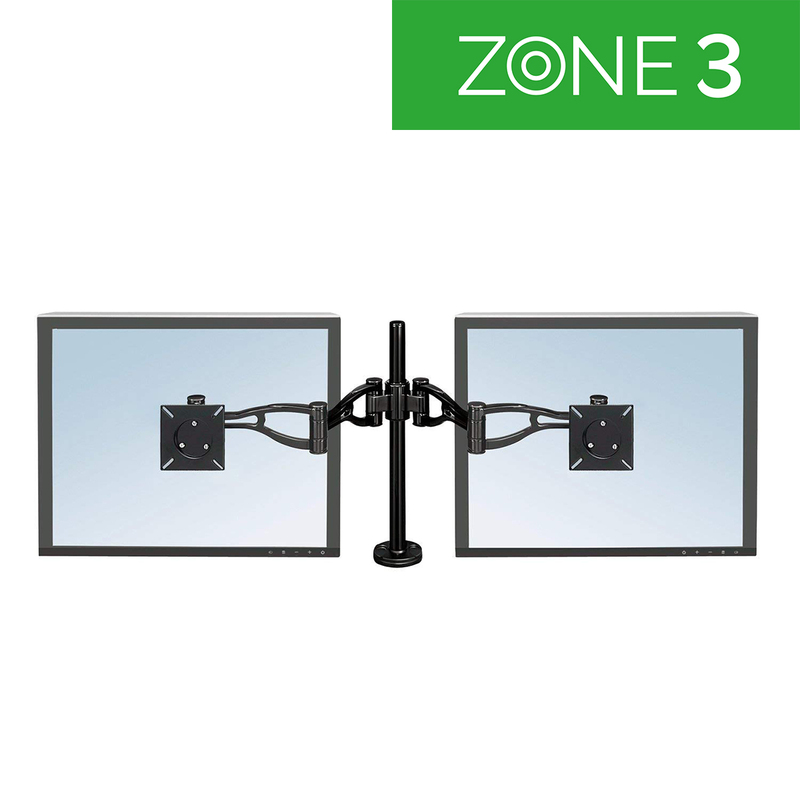 Fully adjustable for maximum viewing control, this dual monitor arm helps to increase desk space. it is able to hold flat panel monitors up to 24lbs and the clamp attaches to desktops 1 to 3 inches thick or through grommet holes at least 3.25 inches in diameter. Elevating monitors from 89mm to 419mm with a reach of 63mm to 686mm, it tilts 37° up and down and swings freely to the left and right.